We see classy and elegant style from Altuzarra. They can be worn with absolutely anything you want. I advice you to try them on with a tea length skirt and simple blouse. Monique Lhuillier keeps it sweet gold and pastel colored. Casadei is here with haute couture style. Love the floral details of these shoes. Try them on with a beautiful skirt and simple blouse. Christian Louboutin is here with silvery, shiny design. In love with delicate straps and glittery leather heels. Fendi is here with awesome monochrome must-haves! If you like 1970's fashion, then you better check these pretty shoes. Fergie Raegan offers a seductive design! Love the delicate look and those gold straps. Try them on with your LBD. Go bold and expose your sexiness! We see Francesco Russo leopard print footwear. Looks gorgeous and wild. 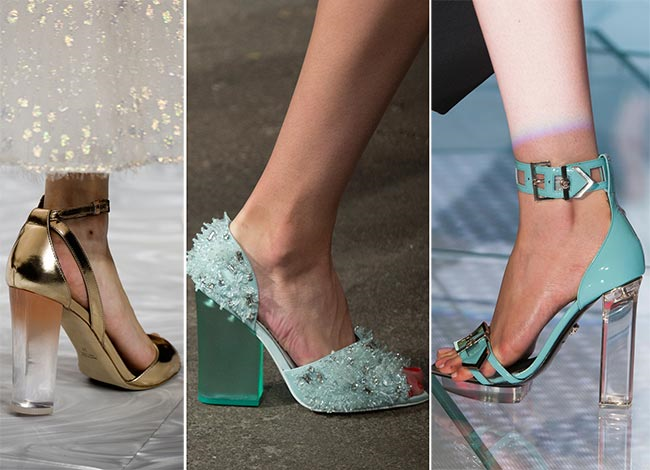 A pair of GUCCI sandals will for sure make your summer to be unforgettable. If you want something edgy, then I recommend to try on Hugo Boss creation. They are elegant and ideal for various occasions. I like the open high heel and rounded shape. Go for bold and neon colours! Privileged offers crazy and colorful design. Here we see Privileged brand creation! In love with its colorful print. Make a real statement wearing these gorgeous beauties. Dolce Vita! Back to school. These are ideal for various occasions, starting from walks, school, work and night outs. Look at this vibrant and summer color! I am in love with Luis Antonio's orange design with rope straps. Michael Antonio is here with light brown pair. Try them with skinnies and your lovely office style shirt. Keep the awesomeness! We see Dolce Vita sandals with block heels. They are easy to style and wear. These shiny silvery styles are real must-haves. 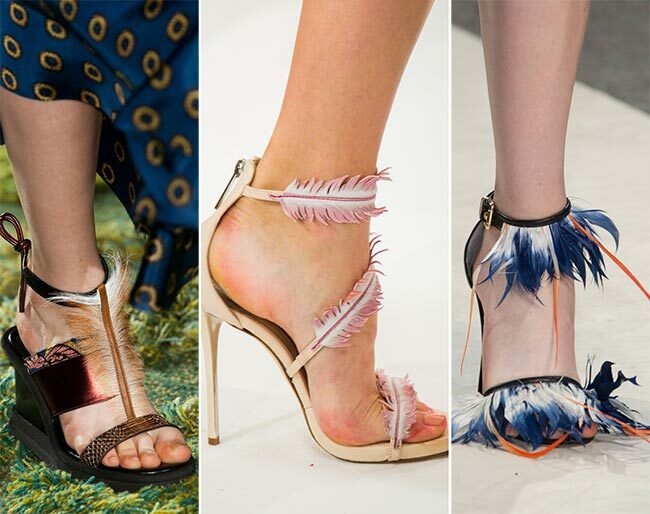 Oscar de la Renta offers breathtaking feathery footwear. Love the delicate embellishment! 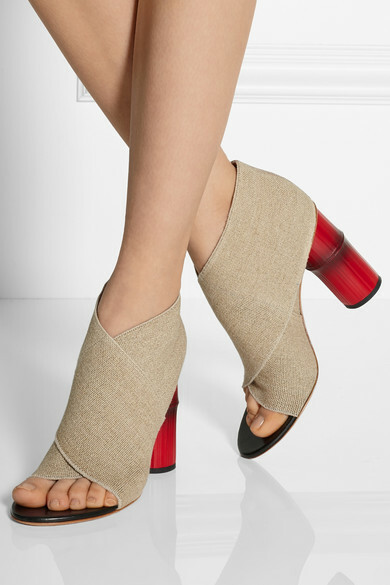 If you want to try on something creative, then try on Philip Lim styles with cupped footbed and high heels. I really like this peach-oyster color. Steve madden offers abstract floral shoes in gorgeous design. Acne Studios makes a perfect look that is both casual and somewhat formal. Love the red faux bamboo heel and beige canvas top. Alejandro Eneglmo is here with chic ones! Just wow and no more words!